The Sacramento Sheriff's Department is seek the public's assistance to identify to two male suspects wanted for an armed robbery of an Orangevale convenience store. 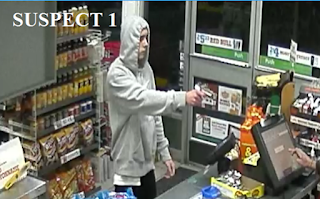 On March 12, the two suspects entered the 7-11 in the 6800 block of Woodmore Oaks Drive with one of the robbers pointing a silver handgun at the clerk and demanding cash. After the clerk opened the cash register, the second suspect came behind the counter and removed cash out of the cash drawer. Both suspects fled the store on foot with an undisclosed amount of money. 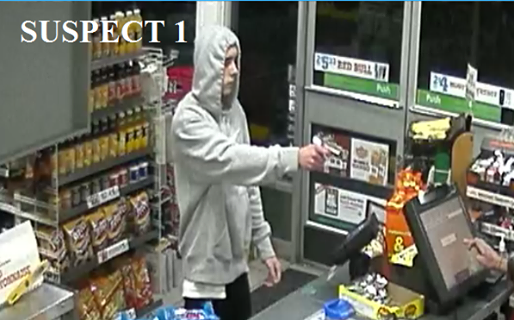 Suspect #1 is described as a white male adult, 18-20 years old, 6’, 200 pounds, gray hooded sweater with a white Nike swoosh on the front and black pants. Suspect #2 is described as a Hispanic male adult, approximately 20 years old, 5’8”-5’9” tall, 140-150 pounds, wearing a black hooded jacket, tan pants, and black shoes. Robbery detectives are asking anyone with information relating to this incident, to please contact the Sheriff’s Department at (916) 874-5115. 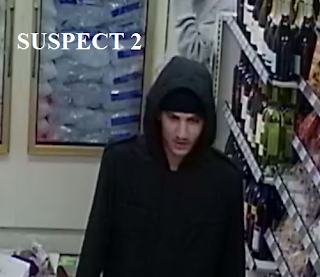 No Comment to " Identity of Suspects in Orangevale Convenience Store Armed Robbery Sought "